Welcome to the annual World Travel Awards voting portal. 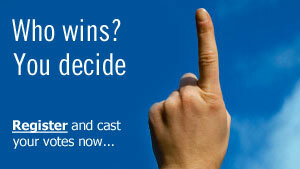 You may cast your votes by registering your details and logging in to the voting system. ** Voting closes at midnight (United Kingdom time) on the closing date. Please register for an account in order to cast your vote. A verification email will be sent to your email account and you will need to click the verification link to verify your email address before you can login to cast your vote. Nominees are listed alphabetically within each award. Travel Industry voters may apply upgrade their account to "industry" status by providing their company details and association membership number during registration and submitting a minimum of 10 votes. Votes cast by verified industry voters will count as two votes. Votes cast by non-industry voters will count as one vote. Visit our help section for a list of frequently asked questions.